Rey, the heroine from the Star Wars franchise, has begun meeting guests at Disneyland Park! She now meets daily at the Star Wars Launch Bay in Disneyland. The Disneyland meet and greet area offers a “Light Side” and a “Dark Side” area. The Dark Side consists of meeting Darth Vader or Kylo Ren. You know who you’ll meet before entering the queue. 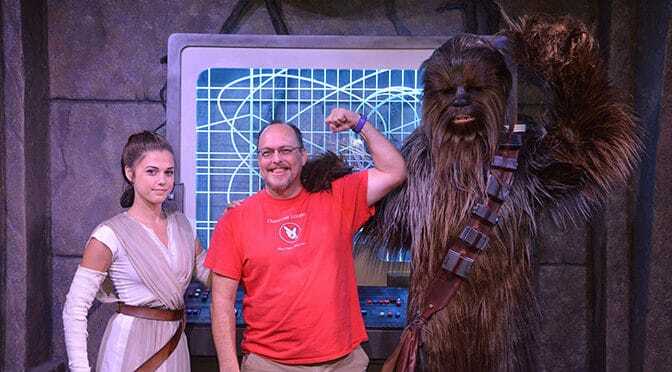 The Light Side will now offer meets with Chewbacca and Rey. Typically, you’ll also choose your queue for each character separately. You can always find her schedule on Character Locator!